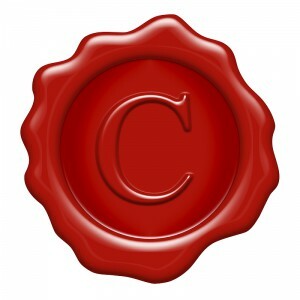 2009: The very first bill President Obama signs into law, in January 2009, is the Lily Ledbetter Fair-Pay Act, restoring the protection against pay discrimination that the Supreme Court had struck down in Ledbetter v. Goodyear Tire & Rubber Co., 510 U.S. 618 (2007). But the wage gap persists. 2012: With Sarah Palin, the Republican Party joins the Democratic Party in nominating a woman for the first time to the second highest office in the land. June 2014: The White House hosts a Summit on Working Families, to set an agenda for a 21st century workplace that supports working families (e.g., national paid family leave benefits). December 2014: The World Economic Forum reports the United States ranks 65th in the world on the issue of equal pay, with American women making approximately 66% of what a man makes for doing the same job. Spring 2015: Three women serve on the U.S. Supreme Court (30%); twenty women serve in the U.S. Senate (20%); and eighty-four women serve in the House of Representatives (19%). Spring 2015: High-profile female CEO’s include Marissa Mayer at Yahoo, Meg Whitman at Hewlett-Packard, and GM’s first female CEO, Mary Barra. Yet, fewer than thirty of the Fortune 500 companies have a woman as their CEO. And women’s representation in Fortune 500 leadership positions (Executive Officer positions, Board seats) has stagnated. The Counselors can help. Here’s why: It is truer than ever that the story of women in American culture is a vibrant and changing story. The energy and dedication of a generation of women has transformed the world. The future depends on what we do with what they have done for us. We’re not there yet, and we have unfinished business. As we continue to ascend, assimilate, and integrate, it is now more important than ever to learn the stories of women who break new paths, open doors for others, and crash through glass ceilings. Their stories–and their example–give us hope and confidence. 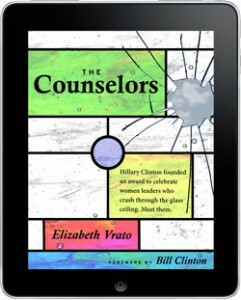 President Clinton authored the foreword of The Counselors shortly before leaving office. Since then, President Clinton has continued to play a lead role on the world stage, with the progressive programs and goals of his family’s foundation, his library, and the Clinton Global Initiative. He also became a grandfather (of a little girl) and has campaigned vigorously for fellow Democrats who share his values. In 1987, before she attained recognition by her first name alone, Hillary Rodham Clinton was working to help women. She served as the first chair of the ABA Commission on Women in the Profession. In that capacity, she launched the Brent Award, whose recipients are profiled in The Counselors. Clinton had just been elected as the first female U.S. Senator from New York when the first edition of The Counselors was released. She next served for four years as our country’s third female Secretary of State. At the time of the release of the new edition of the book in Spring 2015, she is the frontrunner to be elected President of the United States.